6 piece wooden Fire Station accessory set to go with wooden train set. 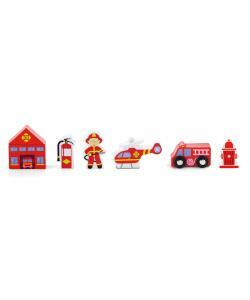 Includes a fire station, fire extinguisher, fireman, fire rescue helicopter, fire engine and fire hydrant. 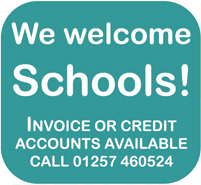 Fits all leading wooden track brands such as Brio, Bigjigs, Viga etc. Beautifully crafted and painted to the highest standards. Would make a great addition to any wooden train set. 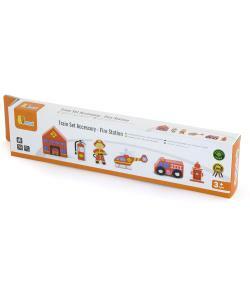 Fantastic train set accessory set with 6 wooden Fire Station pieces. Perfect to enrich your current train set.